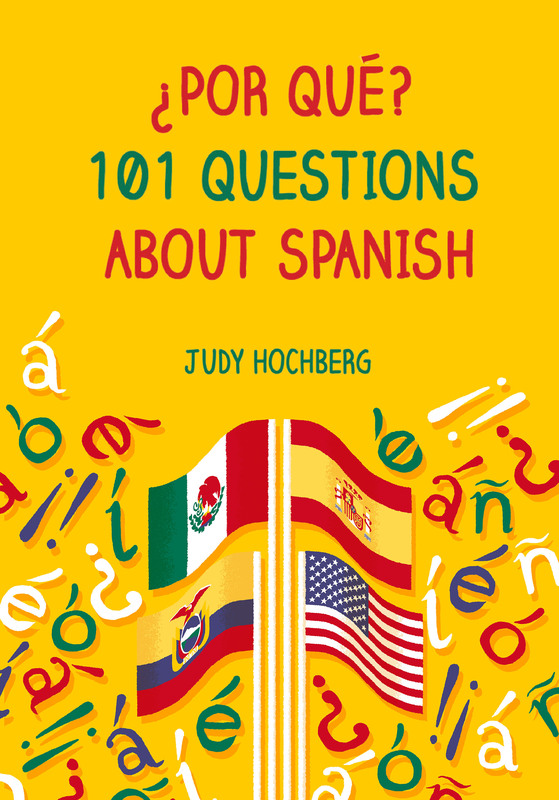 When I started teaching Spanish in 2004, I put linguistics on the back burner — I assumed, forever. This changed in the summer of 2008, with a single “Aha!” moment during an advanced Spanish class I was taking at the Universidad Complutense de Madrid. (Another class that summer was the source of a useful reading list of Spanish light fiction.) Our professor, José Luis Ocasar (now at George Washington University), explained that en absoluto ‘absolutely’ had come to mean ‘absolutely not’ because of its frequent use in negative sentences, such as No era un nombre árabe en absoluto ‘It was absolutely not an Arab name’. This immediately struck a linguistic bell: it was clearly an example of Jespersen’s Cycle, the well-known process by which affirmatives become negatives. Readers may be familiar with this process from the use of French pas (as in Je ne sais pas) to mean ‘no’ even without the ne. Recognizing it in Spanish was thrilling, like running into an old friend in an exotic locale. It also made me realize that my linguistics background gave me the privilege of understanding facts of Spanish in a different way than my fellow students. The desire to share this privilege is what eventually led me to write ¿Por qué?. For me, Jespersen’s Cycle in Spanish has been the gift that keeps giving. I later learned that en absoluto is not the only ongoing instance of the process; en modo alguno ‘in some way’ has also come to mean ‘in no way’. Even better, looking back into the history of Spanish, it turns out that Jespersen’s Cycle starred in the creation of four Spanish negatives: nadie, nada, jamás, and tampoco. Nadie and nada began with Latin expressions built on the verb nascor ‘to be born’ (the source of nacer): non homines nati ‘no people born’ and non res nata ‘no thing born’. These were roughly equivalent to English ‘not a soul’ and ‘nothing on Earth’. Over time, nati became nadie, nata became nada, and both became standalone negatives. Jamás developed from the expression ya más ‘any more’, and tampoco from tanto poco ‘so little’, both paired with no so frequently that they became negative themselves. Until this morning, I thought I knew all there was to know about Jespersen’s Cycle in Spanish. Then I read this useful blog post about the Spanish of Don Quijote. It included the use of persona instead of nadie — for example, in the sentence Una noche se salieron del lugar sin que persona los viese. While this usage is not possible in modern Spanish — the RAE doesn’t even list it with an ‘archaic’ warning — it is directly analogous to the rise of the French negative personne ‘nobody’. Please let me know if I’m missed any other instances of Jespersen’s Cycle in Spanish. Note: this post is basically an expansion of slides 20 and 21 of my 2016 New Year’s listicle, “The top 10 surprising ways that Spanish isn’t special”. This entry was posted in From Latin to Spanish, Vocabulary and tagged "en absoluto", "en modo alguno", Don Quijote, Jespersen's Cycle, negatives, Spanish on 24 May, 2016 by jhochberg.